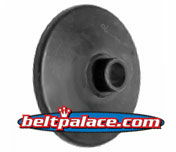 Home > COMET INDUSTRIES BELTS > COMET 203596A BELT REPLACES 994-105 Comet 30 Series > Comet 219554A Go Kart Clutch. Drive unit. 1" Bore. Replaces Manco 8190 and TAV2 clutch. > Comet 219562A. Driver Fixed Face and Post for Comet 30 Series/TAV2 Kit. Use only with 1" Bore 30 Series units. Factory part: FACE-FXD&HUB 1BR MOD 30C BLK OXIDE. Replaces part # 12: Stationary Sheeve, 1" Bore for 30 Series & Torq-A-Verter. Alternate Part #: 219562A-W1. 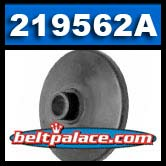 Fixed Sheave part for complete unit 219554-A. Genuine Comet Industries 219562-A made in USA!